It is easy to declare independence but it is far more difficult to achieve it. It is also easy to mythologize our history and ignore the fact that we did not achieve independence by our own efforts alone. No matter what country is involved there is almost always help in gaining independence. One only has to look at history to see the reality of this. 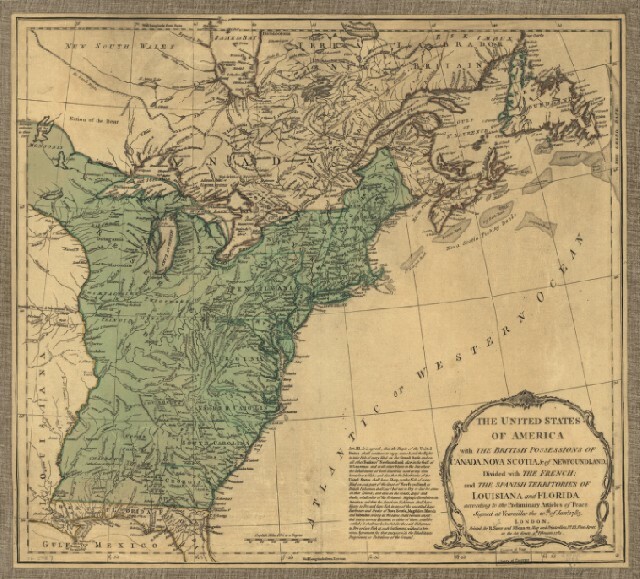 The treaty established the independence of the former British colonies and a new boundary, the Mississippi River which more than doubled the size of the new nation. 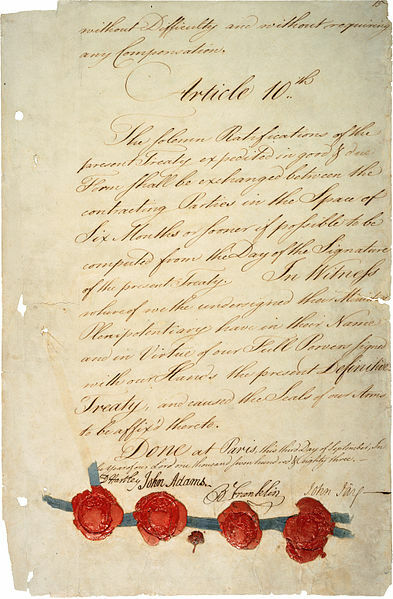 The treaty was signed nearly two years after the American and French Armies, ably helped by the timely intervention of the French Navy forced Lord Cornwallis to surrender his army at Yorktown. It is quite easy to fall prey to simple answers regarding the independence of the American nation. In fact it is not inaccurate to state that the vast majority of Americans today know little more than that the colonies declared their independence in 1776 and that George Washington led the armies and eventually became the first President. However the reality was that the independence of the new nation was secured by a number of factors including negotiations with a power that realized that the expenditure of lives and capital in what had become for them a world war of great cost. 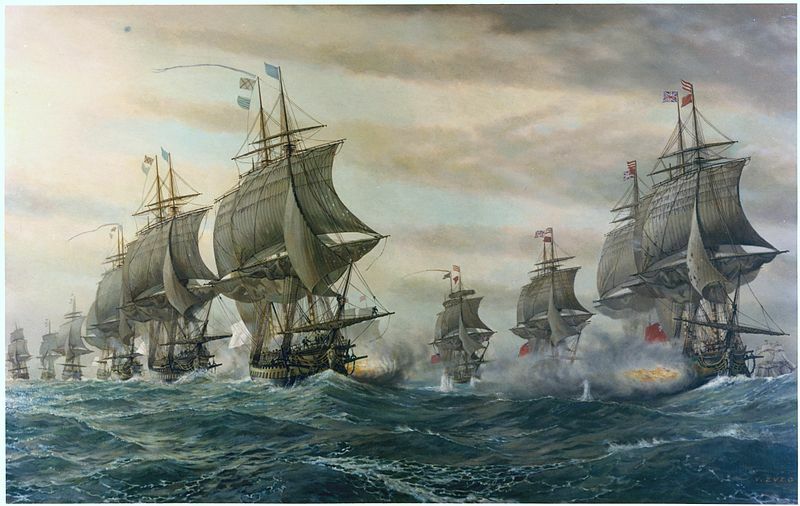 The British negotiated a peace that was generous and which gave the American colonies more than they had begun the war. It required British garrisons to evacuate territories and fortifications in strategic areas on the Great Lakes and areas still occupied. However, the peace allowed the British to secure and expand their empire at the expense of the French, Spanish and Portuguese around the world. The new American nation would eventually eclipse the British Empire but it was not an easy journey and is something that should not be turned into myth or fiction by those that want to seek easy answers that align with their theology or myth. 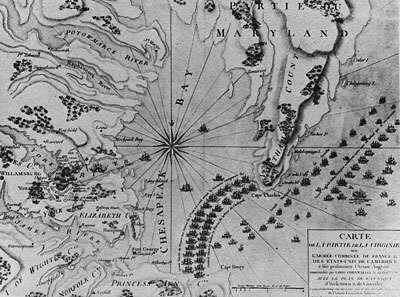 Independence was declared in 1776 but was not attained until nearly two years after Yorktown. 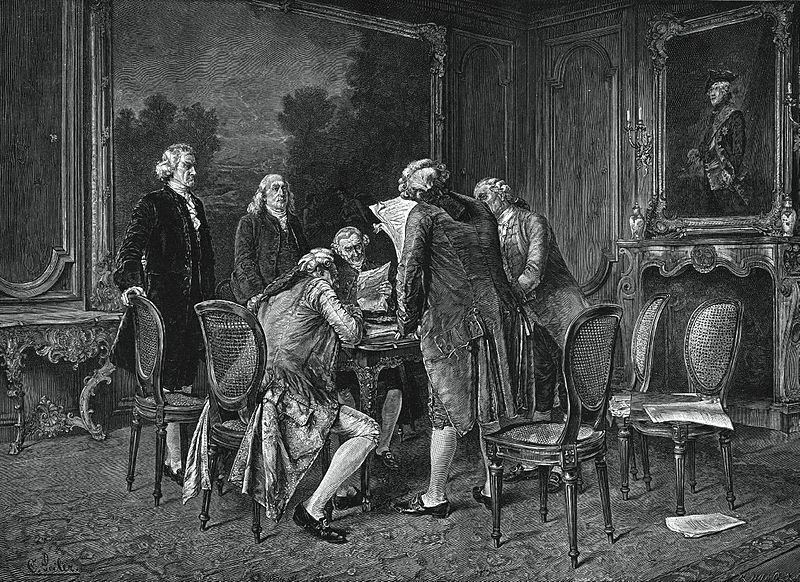 It took military efforts of the colonies as well as diplomatic efforts of men like Benjamin Franklin to gain the vital assistance of the French who helped pay for our independence with their blood, treasure, overseas territories and ultimately the overthrow of the French monarchy by a revolution partly inspired by the American Revolution and the economic problems brought about by the French war with England. That fact is something that we should not forget nor take lightly. We didn’t achieve our independence all by ourselves, just in case we think that we did.